The château de Nitray was built in the XVIth century to replace an older castle, probably dating back the XIIIth century. « In 1250, this feud belonged to knight William du Plessis; in 1263, to Pierre de la Brosse to whom it was given by his uncle, Jean de la Brosse, Canon of Le Mans; in 1453, to Jean Lopin, who, by Act of March 11th, gave the “high Justice” of this feud to Aymar de la Rochefoucauld, Lord of Montbazon; in 1516, to Emery Lopin, master of requests of the Queen Mother, Mayor of Tours; in 1531, to Jean Binet; in 1560, to Emery Binet; in 1580, to Marie Binet, wife of Charles Daen; in 1600, to Pierre Binet; in 1642, to François Daen; in 1680, to César Daen; in 1728, to Mathieu Duchamp; in 1789, to Philippe-Jean-Baptiste Mignon, Crown prosecutor at the Tours finance office; in 1807, to General of Empire Jean-Jacques Liébert. » Excerpts from “Nitray à Athée-sur-Cher” by André MONTOUX. Its development is linked to the history of France since Aimery Lopin, Mayor of Tours and Master of requests of Louise de Savoie, mother of François 1st, decided the building of this castle. Seventeen families have owned the castle since the building of the castle, in particular the family of General of Empire Jean-Jacques Liébert from 1807 to 1922. On October 1st, 1955, the estate was sold on execution at the request of Mr. Georges-Marie Dermy who pursued Mr. Taillandier, industrial residing in Cameroon, who seems not to have paid the whole price settled in 1953. The starting price was made at 14,500,000 old French francs by public auction. As no purchaser stood, the estate was purchased on October 17th, 1955 by the family Brebart d’Halluin. 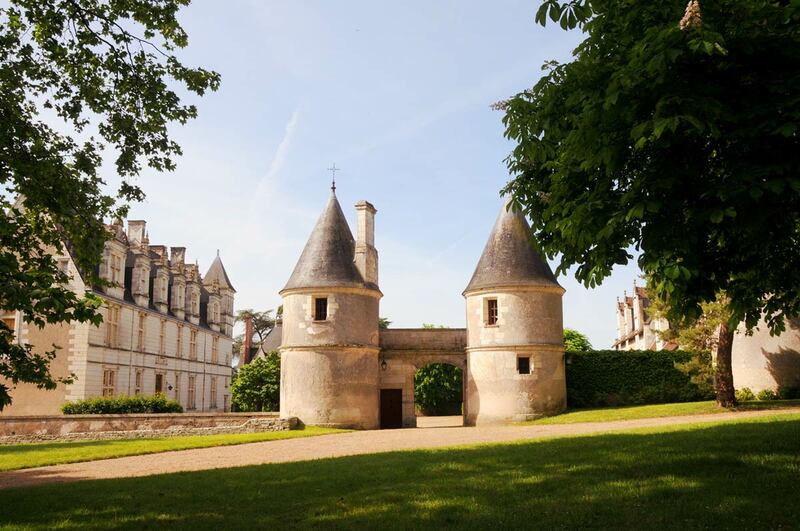 Etienne d’Halluin implemented the first renovations: roof of the castle, the dovecote and the hunting lodge and then reorganized the vineyard to bring it to 15 hectares. Since 1989, Earl Hubert de l’Espinay, son-in-law of Mr. and Mrs. d’Halluin, has been pursuing the work of his father-in-law transforming the sale of wine from bulk to bottle, improving vinification and creating two other activities to improve the estate returns on income: a tourist activity and room rental activity. Today the château de Nitray welcomes 8 000 visitors a year, including many French and foreign tourists as well as business seminars, wedding type family receptions, birthdays, family meetings, etc. Jean-Jacques Liébert was born on August 8th, 1758 in the Aisne department. He joined the army when he was 13 and he became Major General on January 26th, 1794. Settled in Tours on March 19th, 1800 and appointed Baron of Empire on May 2nd, 1802, he bought Nitray on November 26th, 1807 for 100,000 francs. He retired on May 15th, 1813 and was appointed Knight of Saint Louis on November 27th, 1814. He died in Nitray on December 7th, 1814 and was buried in Tours. 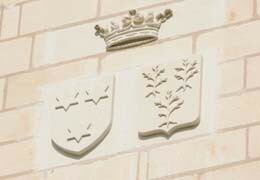 On the picture above, the coats of arms of d'Halluin is on the left and the coats of arms of de l'Espinay is on the right. Liébert: Or with gules bend, with an argent lion passant, with azure small chief and three gold mullets, surmounted with the military barons canton gules with silver sword, point upwards. d’Halluin: Argent with three gules mullets six points. de L’Espinay: Argent with three torn Vert thorns.